Fashion can be said to be one of the yardsticks used to gauge the public acceptance of a celebrity star, which is why many go the extra miles in looking absolutely good. Over the years, Nigerians superstars like Wizkid, Davido, Burna Boy and a host of others have managed to influence the style of their audience through their fashion decisions. Most of their fashion ensembles are put together by a team of season image professionals that have a keen understanding of what a celebrity should look like. We shine the spotlight on one of the most celebrated female artiste in the Nigerian entertainment industry, and take a look at how her fashion and style game has taken shape since she emerged in the industry. 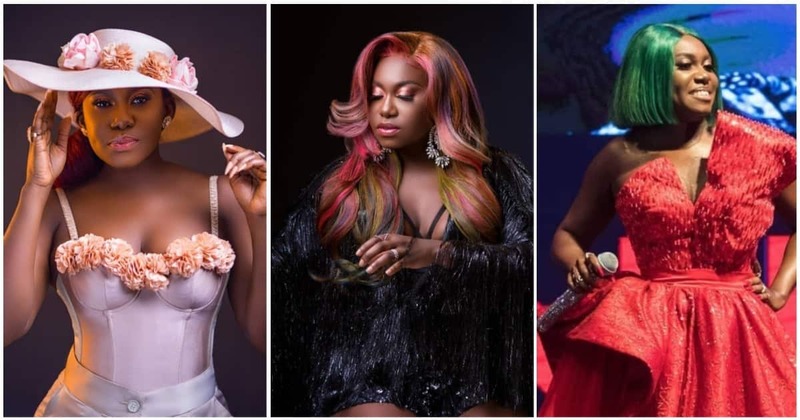 With a string of hit singles like Maradona, Sicker, Bana and many others to her name, our style focus is no other than singer and Afro-house queen, Niniola Apata. The talented songstress has definitely been one that has struck an admirable chord with fashion. The series of images below will prove so. Performing on stage is almost never avoidable for any musician in the entertainment industry. However, while attention must be paid to delivery a stellar show, the choice of clothing can never be overlooked. Certain female singers shy away from high heels and cleavage revealing outfits for the fear of having wardrobe malfunctions. The pictures below are proof that Niniola likes to play it safe and occasionally flip it to the other side. When off the stage, the Maradona crooner definitely has a liking for high heels as proved by some of the pictures below, she just does not like them enough to rock them on stage. Her pictures also reveal that she is not afraid to show of some moderate amount of cleavage. The star singer proves to be one who does not seat at the table of bland and boring hairstyles. She embraces color and flaunts her perfectly styled colored weaves to the letter!